Indian Stock market is on full swing. Nifty and Sensex is all time high. Nifty has recently crossed 8300 level. As an investor you must be thinking whether to invest more or to stay away from market, well best is to participate in market, and if you want to tradeoff risk best is to invest using mutual funds. 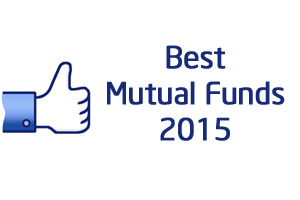 I am herewith Best Mutual Funds to invest in 2015. These types of funds invest large portion of money in companies with large capitalization.Large cap funds generally provide stable and consistent returns over a period of time, it may outperform and give best returns based on market performance. Risk explore is moderate in large cap funds. These types of funds invest in small and mid cap companies. Risk return ratio is quite high in Small and Mid cap funds. These types of funds invest in fixed income securities like bonds, MIP or treasury bills. Debt fund provides fixed type of returns in limit. Debt fund investment is recommended for investors who don’t want to take any risk in volatile market. Monthly Income Plan provide stable monthly returns to investor. Those who are looking for monthly income can invest in this mutual fund. Please note that I am not holding any position in mention mutual funds. Before Investing in any mutual funds mention above you must take advice from your financial planner and take investment decision based on your goal and risk appetite. I personally recommend you to invest in Mutual Funds via SIP route. You will defiantly find difference in return. SIP Investment returns are always high compare to one time investment returns. Do you hold any position in above mutual funds? Do share your experience with us. I am new to MF investment . I have decided to invest forty thousand rupees(40000) per month in SIP for 10 year.I am already having insurance coverage, no home loan ,emergency fund for 1 year and investing 1 Lakh per annum in PPF apart from my regular PF contribution. I will select one MF from each category. Now my concern is suppose i started investing 40000 per month in SIP and down the line if i will not have regular income(i am in private job) to invest every month. In that case if i hold my already invested money in SIP for 10 year, it will be beneficial ?? what is the best option? Best option is to invest in Mutual funds with SIP route.History shows that in long run equity market gives best returns compare to other asset class.It is recommended to stay invested in mutual funds for long run. I have SIPs in below funds and my time horizon is 15-20 years. Kindly let me know if I need to exit any of the funds. I want to increase my holding for 5k more in any of the funds I already have. All funds selected by you are excellent in terms of performance. Out of this IDFC Premier equity – Regular fund is in below average performance.You can think of exiting from this fund. I’ve invested in “UTI Equity Direct – Growth”. However, I didn’t find the expense ratio for it on VR. Any idea where would I know this and your valuable opinion on the Fund house and this fund in particular please? Hello sir, I AM 53 YEARS OLD AND ABOUT TOMRETIRE IN 7 YEARS. I AM NEW FOR SHARE MARKET. I WANT TO INVEST Rs.10,000 TEN THOUSAND RUPEES PER MONTH FROM JAN,2015. PLEASE SUGGEST BEST TOP FIVE MUTUAL FUNDS VIA SIP KEEPING IN VIEW OF MY AGE, I AM READY TO CONTINUE MY INVESTMENT FOR MINIMUM 5 YEARS. I AM READY TO BEAR HIGH TO MODERATE RISK. Thanks for your valuable comments on the financial planning front. I would like to get your kind advise on my financial planning as a newbee. Let me tell about myself. I am currently working aborad and would like to invest in India. Could you please suggest me various option available to do so. I am currently 28 and can take high risk with annual investment of 5L. My current holdings are as below which was started 2 months before. could you please kindly advise any correction and valueable suggestion. Hello Congratulation for starting financial planning at early stage. Mutual funds selected by you are good, However I suggest to reduce number of mutual funds in portfolio. You can remove investment in Franklin India smaller companies. In Stock market you can add SBI and LUPIN in your portfolio.